I made this Grilled Turkey Sandwich With Basil Aioli after sampling a similar sandwich at a nearby café recently. 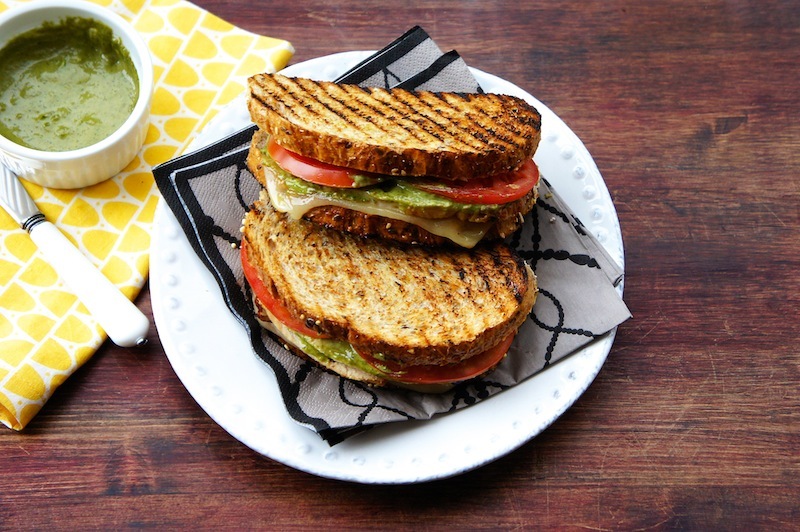 The combination of provolone cheese, fresh sliced tomatoes, and homemade basil aioli made this simple and yet healthy sandwich truly appealing and comforting on any day. Try it with whole wheat, or a bread of your choice. To assemble the sandwich: Place a cast-iron skillet pan over medium to high heat. Lightly brush one side of slice of bread with olive oil. Top two slices of bread with cheese, and place the breads (oiled side down) on the skillet until they are toasted, and the cheese has melted. 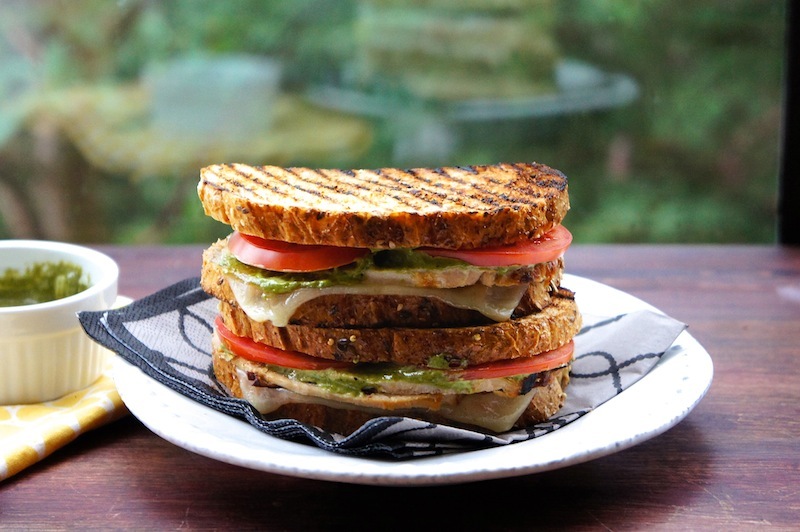 Remove the toasted bread slices, layer the turkey slices on top of the cheese, spread some basil aioli, tomatoes, season lightly with salt and pepper, and cover with the other slice of bread. Press the sandwich firmly, cut into half and serve immediately.